Catherine Oppenheimer co-founded the National Dance Institute of New Mexico in 1994 (NDI-NM) and the New Mexico School for the Arts (NMSA) in 2010. NDI-NM is a statewide arts education organization in New Mexico that has introduced thousands of New Mexico’s children to dance training and performance experiences as an effective catalyst for character development and artistic expression. NMSA is New Mexico’s first chartered residential high school for the performing and visual arts. NMSA is dedicated to arts mastery and academic excellence assisting passionate young artists in developing their full potential. Ms. Oppenheimer danced with the New York City Ballet under the leadership of choreographers George Balanchine and Jerome Robbins, and with the Twyla Tharp Dance Company. In 2008, Ms. Oppenheimer was honored by the MS Society of New Mexico with its Award of Distinction and by the New Mexico Committee of the National Museum of Women in the Arts for her dedication to the arts. 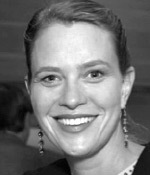 In 2005, the readers of The Santa Fe New Mexican named Ms. Oppenheimer to its annual “Ten Who Made a Difference” list. Ms. Oppenheimer was a recipient of the Journal Santa Fe’s Philanthropist of the Year Award in 2010, and the Santa Fe Community Foundation’s Philanthropic Leadership Award in 2011.